The management of the Umaru Musa Yar’adua University, Katsina, School of Pre-Degree and Remedial Studies (IJMBE), has released the admission list for the 2017/2018 academic session. 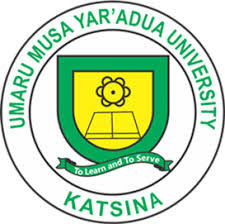 Umaru Musa Yar’adua University, Katsina, Pre-Degree and Remedial Studies admission list for the 2017/2018 academic session is now available online. How to Check UMYU Pre-Degree & Remedial Admission List. UMYU Pre-Degree & IJMB Supplementary Admission Lists. Go to https://www.umyu.edu.ng/index.php/2017-03-24-22-03-38/news-and-events/272-sprs-supplementary-admission-list-pre-degree-ijmbe-2017-2018-session to access your admission status. UMYU Pre-Degree & IJMB 1st & 2nd Batch Admission Lists. Go to https://www.umyu.edu.ng/index.php/2017-03-24-22-03-38/news-and-events/229-school-of-pre-degree-and-remedial-studies-admission-list-2017-2018-academic-session to access your admission status. Go to https://www.umyu.edu.ng/preadmission/ to print your admission letter. Read Also: UMYU Registration Guidelines for Admitted Pre-Degree/IJMBE Candidates and UMYU Pre-Degree & IJMB School Fees Schedule.